One of the larger employers in Cabarrus County. Corning always participates in United Way’s annual Week of Caring, with a special emphasis on the town of Midland where its fiber-optic cable plant is located. 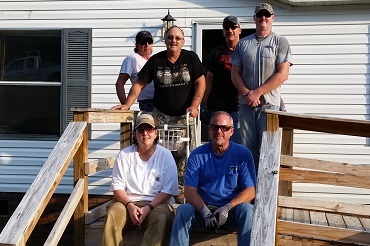 For example, they’ve adopted one elderly gentleman and returned to his home multiple times for hands-on projects – helping him with landscaping one year, creating a new driveway for him the next – along with other projects out in the Midland community. 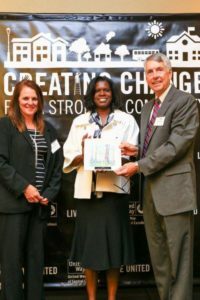 That dependability is a hallmark of Corning’s partnership with United Way. Another example is their unique rollover fundraising campaign – employees don’t have to make a new United Way gift each year, it’s automatically renewed unless they choose to opt out. So when Corning recently announced a $109 million expansion to make the Midland plant the largest fiber-optic manufacturing facility in the world, it wasn’t just great news for the forthcoming 200 new hires. It was great news for the thousands reached by Corning’s partnership with United Way, too – this year and for years to come.